TURBO-DRI™ automatic hand dryer is a fast hand dryer, drying hands in under 12 seconds. 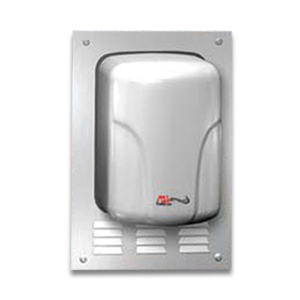 This surface mounted hand dryer comes in porcelain or stainless steel. Porcelain comes in white and stainless steel comes in bright or stain finishes. TURBO-DRI™ automatic hand dryer also has a variable speed fan motor. Manufactured by American Specialties, Inc. (ASI).